Our newly added Bag Class, which launched on Thursday night, was a huge success and a ton of fun! 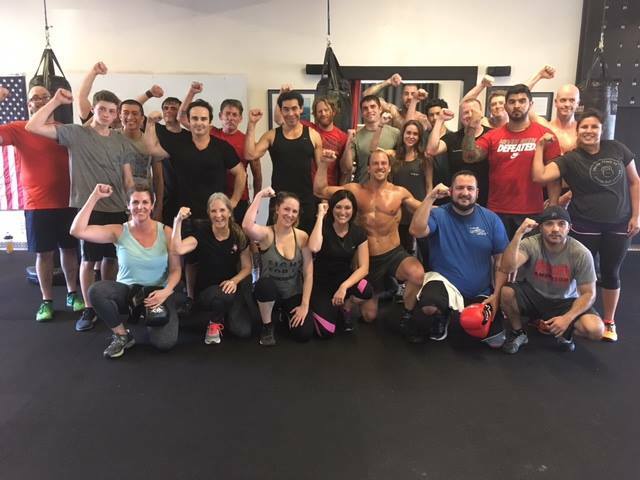 This class combines bodyweight exercises, CrossFit Striking skills, and Krav Maga, for a fast paced, challenging and exciting class. This class is FREE for current CrossFit Amundson Athletes and is offered every Thursday from 5:15PM to 6PM at Krav Maga. Bag gloves are required for class. We highly recommend staying for Satvana Warrior Yoga from 6PM to 7PM. It’s the perfect combination of “Heart and Fist” and and awesome training experience.